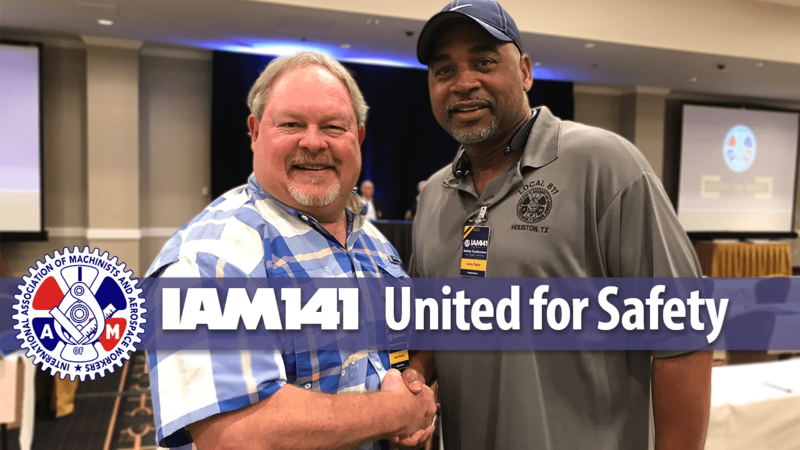 Bill Salo is the IAM141 Safety Director (United Airlines.) His work has led to safety policy changes at airports around the nation. Tony D’Aloiso, IAM141 Safety Director (American Airlines) has helped employee-level safety programs take flight. Union activists and leaders were quick to acknowledge the need for well-planned company-led safety programs and training but insisted that these programs are not enough by themselves. Worker-led programs and front-line safety reporting are also needed. “We’re trying to work together. We’ve invited the company to attend this conference, and they have been very receptive to us so far.” United, Hawaiian, and American Airlines all sent representatives from management as well as front-line workers to participate in the Safety Conference. 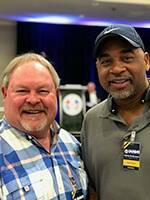 From Houston, Texas: Safety Supervisor of Airport Operations for United Airlines Gary Snead (left) and IAM Local 811 President Leroy Taylor (right) at the 2017 IAM141 Safety Conference. 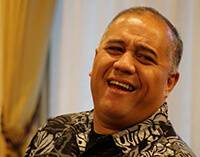 Kaulana Pakele is the IAM141 Safety Director for Hawaiian Airlines. Pakele has helped ensure that IAM Members have direct lines to management whenever they are reporting safety issues at work. 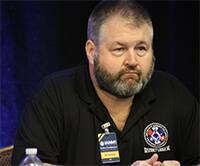 IAM141 President, Mike Klemm praised the partnerships as he delivered the opening remarks at the 2017 Safety Conference. 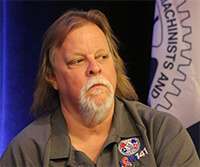 Pointing out programs such as the GSAP reporting system and the IAM safety tracking system “UnionSafe,” he repeated the sincerity of the efforts of both sides to improve airline safety.